On November 29th Guyana's Ministry of Education dispatched Olato Sam, Technical Adviser to Minister Baksh to Cambridge, MA to meet with staff at Lesley University and MCF staff to discuss advanced training for Guyana's school Welfare Officers and Guidance Counselors. The trip was funded by MCF and viewed as a critical step forward in further professionalizing staff in Guyana who work in schools with children and families in crisis. Lauren Stevenson was present on behalf of MCF throughout these discussions to participate and to document the progress as the programming was discussed. 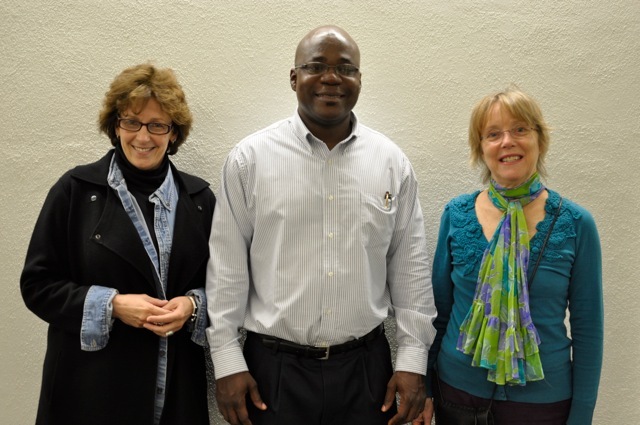 Margaret Clemons (MCF), Olato Sam (Guyana's Ministry of Education) & Gene Diaz (Lesley University Associate Provost) pose for a picture! 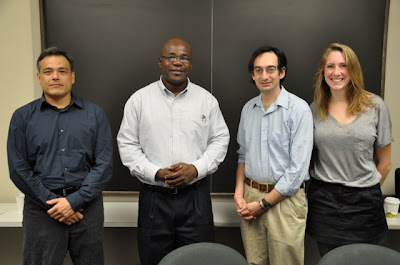 Dr. David Morimoto, Olato Sam, Dr. Michael Schindlinger and grad student meet and pose for this picture at the Lesley Campus.